Feel like your marketing plan isn’t yielding the best results? Not sure your media plan is suited to compete in an omnichannel market? Radio can help. In fact, if you aren’t utilizing radio advertising, then you’re most likely leaving something important on the table: increased sales and revenue. Between its extensive reach and its powerful ROI, it’s no surprise that more advertisers are using this traditional channel, even in a digital era. According to Statista, U.S. radio ad spend increased from $90 million to $160 million over the last five years, and spend is projected to reach $192 million by 2021. That’s right — more businesses will be investing more money into radio as time goes on. And you too can begin leveraging the power of radio. We’ve put together ten major benefits of radio advertising to help you understand what you’re missing with your current strategy. 1. Radio Reaches Large, Diverse Audiences. Radio advertising effectiveness begins with its phenomenal reach. As reported by Nielsen, radio reaches 92% of American adults over the age of 18, which surpasses TV (88%), computer-based digital (60%), and smartphones (79%). What’s more, radio reaches diverse audiences. According to Nielsen’s Audio Today 2018 report, 92% of Blacks and 96% of Hispanics listen to the radio each week. It also reaches people of all ages, including Millennials, Generation X, and Baby Boomers (also per Nielsen), and has particular impact with mothers. In fact, radio has the highest reach among moms aged 18-49. 2. Radio Also Targets Specific Audiences. The variety of its reach makes radio a fairly targeted medium. When you understand the underlying demographics of your audience, you can select the best format and station for your needs, as well as the best day-parts for reaching them consistently. This takes up-to-date market research into how your audience behaves; after all, it may not be what you expect. Take country music, for example. You may assume the audience to be predominantly older, white listeners, but as we discussed in a previous post, the audience is increasingly young and diverse. Consistency is key, and the first lesson in advertising is ensuring your audience is exposed to your message repeatedly to ensure action. This requires a delicate balance — too little exposure means your audience will forget, while too much will annoy and disengage them. The “magic” number will vary based on the purpose and time frame of your campaign; however, some advertisers swear by the radio frequency of 3 impressions per person per week. 4. Radio Offers Better Bang for Your Buck. This channel may not be as cheap as others to produce or to get in front of your audience — digital can claim that crown — but it’s important to remember that advertising is an investment. The cost of production has to be viewed in comparison to what you get in return. Radio offers faster production than TV and shorter lead times than print and most video, should changes need to be made. Couple that with its reach, frequency, and results (which we’ll get to in a moment), and radio clearly stands out as a top choice. According to Nielsen, American adults spend on average about 1 hour 45 minutes everyday listening to the radio. Even more, most of their tune-in time (58%) was spent on their favorite station. That alone indicates the strong level of trust and loyalty that can be transferred to your brand. It’s often noted by listeners in research studies done across the US that listeners oftentimes tune into a station because of their favorite radio personality (e.g., DJ, show host). And many note that they think of these personalities like friends and family, as well as trusted opinion and thought leaders. Plus, as we’ve discussed before, on-air personalities can offer a variety of benefits for advertisers. All these reasons, and more, are exactly why radio endorsements are such a powerful marketing tool. 6. Radio Works Well with Other Marketing Channels, Including Digital. You should always remember that an integrated marketing approach is an effective way to deliver a consistent message across multiple channels. And we can’t overstate how well radio pairs with other media, even digital. It can help drive search and reinforce PPC campaigns. Combining radio and social media, in particular, helps drive engagement and brings your audience closer to your brand. Other traditional channels work well with radio, too. We favor magazine because it reinforces radio’s “theater of the mind”. 7. Radio Delivers Quick and Impressive Returns. In 2016, Nielsen conducted a study of nearly 125 million consumers in order to properly determine radio’s return on advertising spend (ROAS). At the time, they determined that the average ROAS was $6 for every $1 spent, although retail was about $11 for every $1 spent. Some retailers even saw as much as $23 for every $1. In a more recent study, research found that the results hold true two years later. CPG brands could expect to see $12 for every $1 spent on radio advertising. And the best part is the fact that you can see the results of certain radio campaigns within days. A high-frequency, short-term, action campaign, for example, won’t take long to move the needle. 8. Radio Holds Audience Attention and Drives Results with the Theater of the Mind. Radio doesn’t leverage what the audience can see or physically feel. Instead it relies on sound alone to trigger their imagination and engage them on an emotional level. This is called the theater of the mind, and it’s one of the main reasons why radio makes such a strong impression on listeners. Creative messaging gives you room to tell a story about your brand and paint a picture for listeners that can hold their attention. Whether you want to educate, inspire, or simply connect with them, radio offers the means to do so. 9. Radio Reaches Audiences at Optimal Times. Most of the time, people listen to radio when they’re away from home, especially during peak commuting times and while they’re at work. 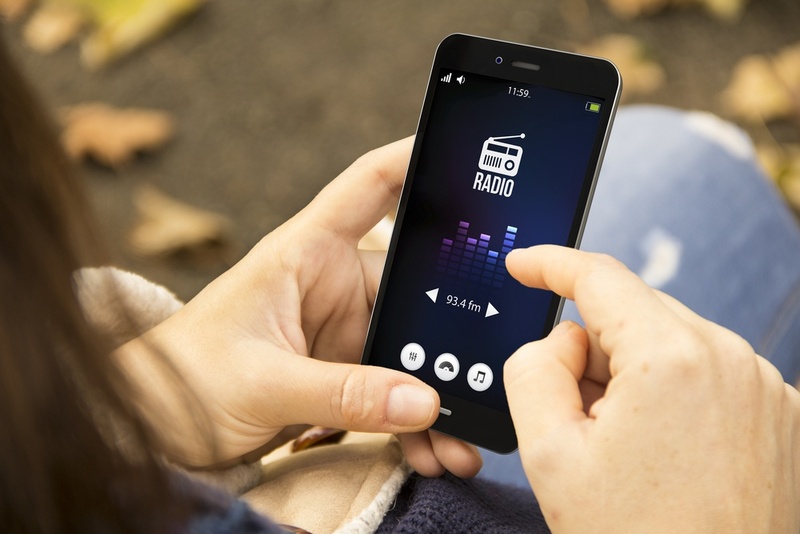 This makes listeners a relatively captive audience, since radio doesn’t have to compete with other elements that might steal their attention (like a smartphone). What’s more, it puts radio ads closer to the point of purchase, giving them greater influence over the final decision. 10. Radio Uses a Clear Call-to-Action. We can’t emphasize the importance of your CTA enough. It’s part of our 6 Things You MUST Know when Advertising on Radio, and it’s a key part in not only influencing your customers, but measuring your campaign’s effectiveness. One simple, compelling CTA is all you need, and it needs to be easy to remember. (After all, a driver can’t pause to write something down.) If you’re not sure whether your CTA is good enough, we’ve put together five reasons you may need a stronger CTA. Radio advertising effectiveness points to one thing: a better bottom line. It lets you reach the right audience at the best times of day, builds mental real estate for your brand while establishing trust, pairs well with other channels as part of an integrated marketing mix, and ultimately influences your audience to take action. That leaves just one question: Why are you still missing out? Check out our post, Insider's Tips on Using Radio Advertising for the First Time, to learn how you can begin to strategically use radio advertising.